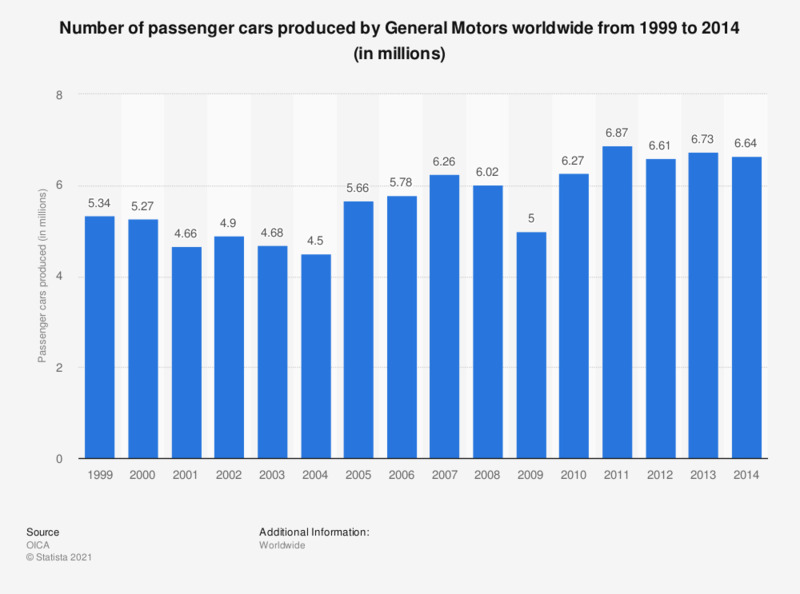 The timeline shows the passenger car production of General Motors worldwide from 1999 to 2014. In 2013, GM produced 6.7 million passenger cars worldwide. The U.S. automaker is world's fourth largest manufacturer of passenger cars in terms of production.